the shortcut shift + command + f which my programming editor uses is also used by GPG keychain. I need to disable this please. Hi, I had a similar issue. 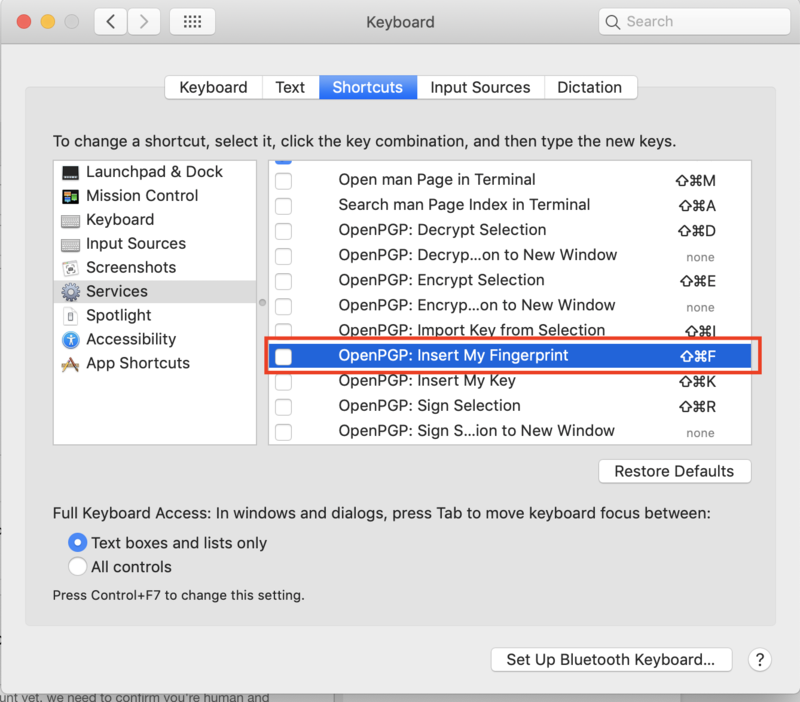 Just go to System Preferences -> Keyboard -> Shortcuts -> Services, find 'OpenPGP: Insert My Fingerprint' and uncheck it. This „feature“ was the side-effect of another bug we have fixed. We have since removed the shortcuts in GPG Services and that change is available in the nightly build. Glad this is already solved for your. Steve closed this discussion on 14 Nov, 2018 03:13 PM.